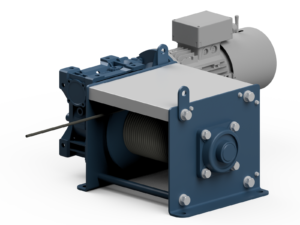 new EBRW winch series is manufactured in Australia using quality materials and components. The EBRW range of winches are generally suited to hauling applications including specific use as a Boat Ramp Winch and are powered by single phase electric brake motors ( three phase is optional). The EBRW3000 & EBRW4500 are rated to haul loads of 3000 kg and 4500 kg up 10˚ boat ramps and smooth inclines over the total rope distance. The winches are compactly constructed in a conventional manner with a steel drum supported in a fabricated steel frame and driven via right angle gearbox and brake motor. The winches can be configured in a variety of mounting scenarios. Synthetic ropes and wireless remotes are available as standard options. If you’re in the market for an Boat Ramp Winch, contact us now for more details. Until our next blog piece.